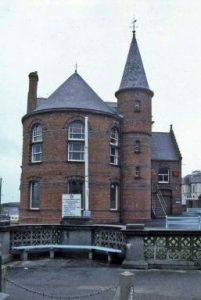 Dating from 1870 this fine example of Victorian municipal architecture was under threat of demolition following its closure in 1997 due to poor condition and being surplus to Coleraine Council’s needs. A proposed plan to knock it down and rebuild in a similar style was tabled in 1999 at an estimated cost of £1.75m. 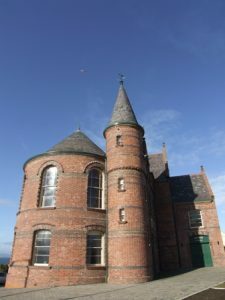 The scheme was eventually rejected in favour of restoration thanks to Hearth Revolving Funds vision for sustainable restoration and reuse as a community facility and the Council’s willingness to work in partnership. The restoration cost a total of £1.6m displaying the potential of heritage–led regeneration being most cost–effective than new build. The restoration saved not only money but the embodied energy within the historic structure, saving the need for the production of new materials. 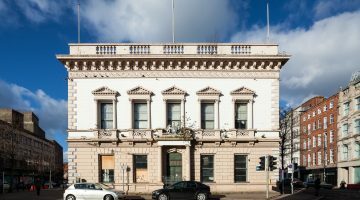 £1m of funding was covered by heritage related grants recognising the building’s architectural and historical importance as a B1 listed structure. NIEA Listed Building Grant Aid; Heritage Lottery Fund and Coleraine Borough Council.